The ANU was well represented at the ACT Young Canberra Citizen of the Year Awards, with an alumnus and a current student each picking up an award at the 2016 ceremony. 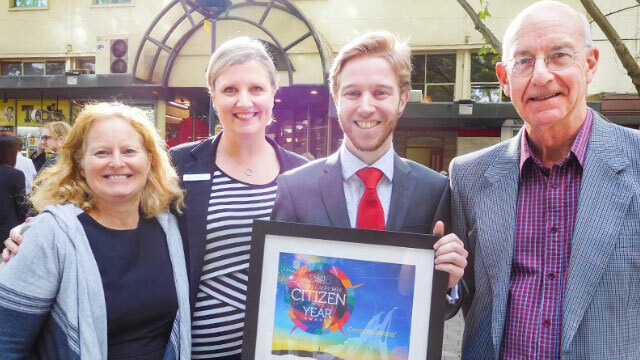 Jordan Kerr won the overall category for the 2016 Young Canberra Citizen of the Year, for his advocacy work in establishing the National Youth Council of Australia. Jordan, a second-year student undertaking a Bachelor of International Relations in the College of Arts and Social Sciences, said his proudest achievement was organising the 2015 National Youth Conference which attracted more than 300 young people from around Australia and tens of thousands online.